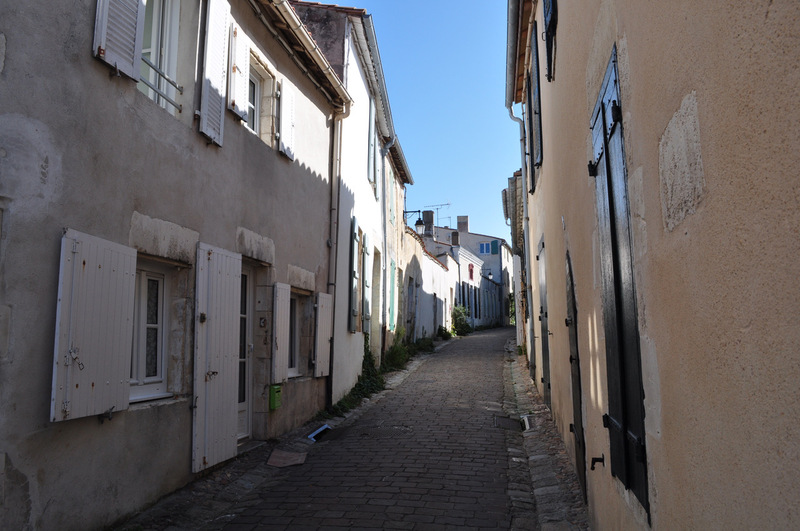 Why not take a break on the sunny Ile de Ré in the Charentes area of South-Western France? One of four islands situated off the Atlantic Coast, the Ile de Ré, often referred to as The Hamptons of France, is accessible by Bouygues’ stunning toll bridge from La Rochelle. It’s often said that the climate changes when you cross over to the island from the mainland and so it transpired when we last visited. The gloom of La Rochelle morphed into bright sunshine on the island and its one of the sunniest, most temperate parts of France alongside the Côte d’Azur. 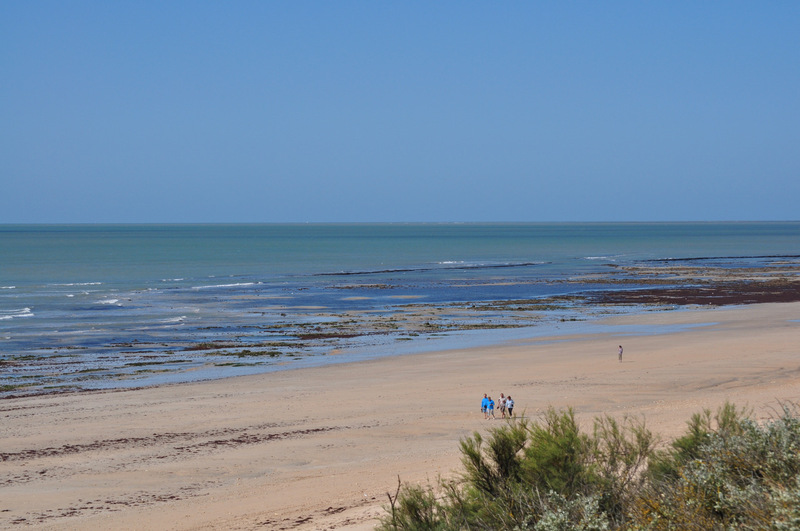 Maybe this is why the Ile de Ré is so popular with cognoscenti French travellers. Old world charm and style: There’s a definite charm about this island that sets it apart from anywhere else in the world. Intense light: You can even strike a pose to good effect in the intense light. Local Interaction: Saunter around like a local. 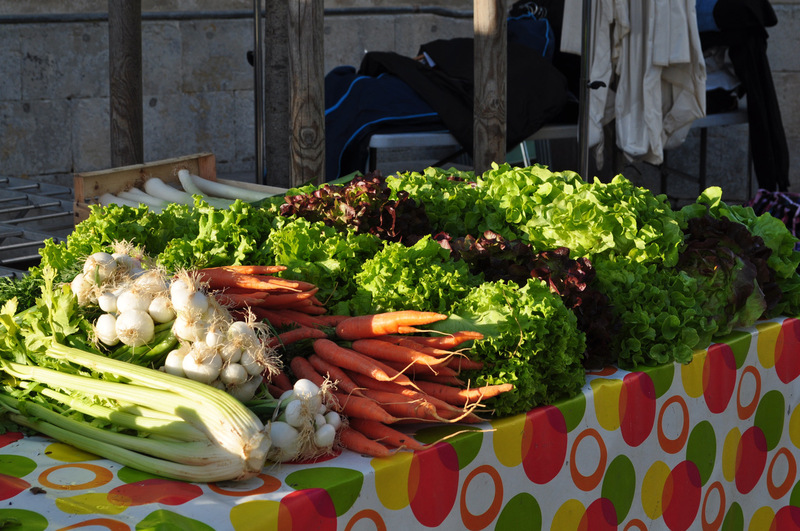 Market Fresh: There’s always a market somewhere as the French know the value of fresh produce. This was a sole table situated by a church one early morning. 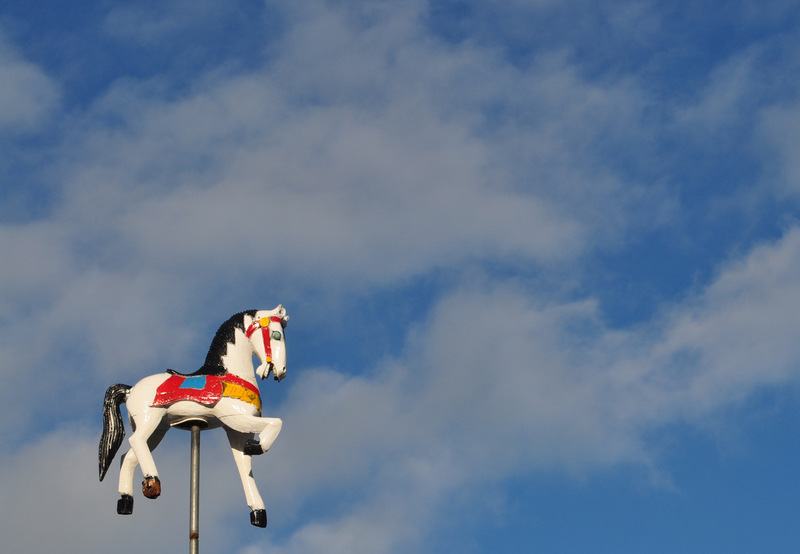 French carousels: Where you go in France, there’s always a decorative carousel somewhere. I don’t know why, but I see them everywhere so why not go for a spin and watch the world go around? 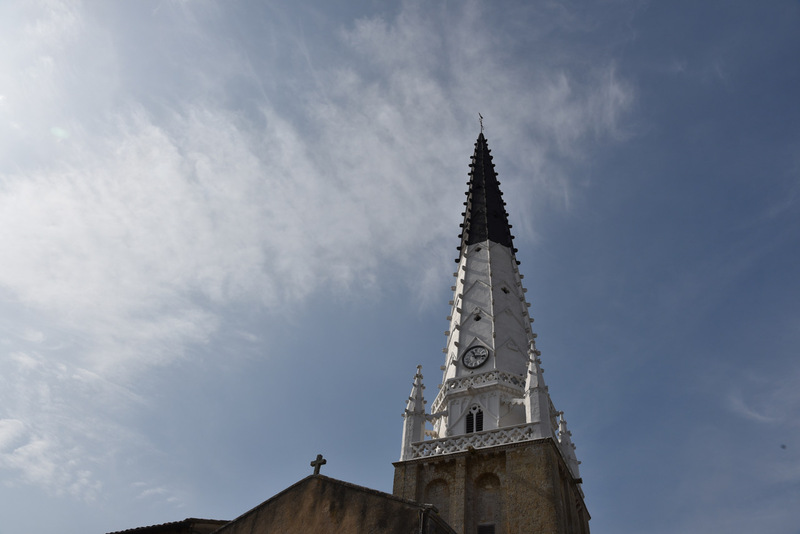 The tallest viewpoint in the area: Whenever I visit a city, I always try to climb to the highest possible viewpoint and this is the Eglise St Martin, known as the ‘Grand Fort’. It dates back to the 15th century and was destroyed by a bombardment from the Anglo-Dutch fleet in 1696. It was subsequently rebuilt in the 18th century. Island Panorama: Just 117 steps to the top for this panoramic view. 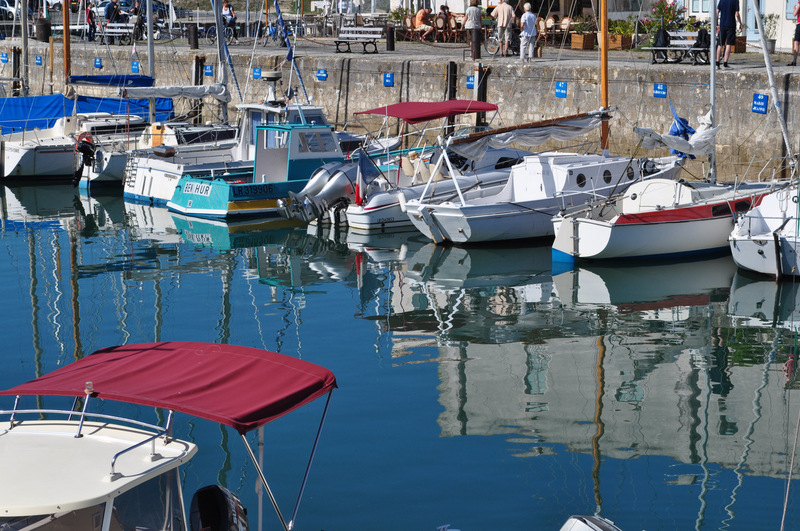 Harbour living: Walk around the harbour of St Martin-de-Ré and choose which yacht or boat you’d like to own whilst eating some ice-cream at La Martinière in St-Martin-de-Ré at the northern tip of the island. 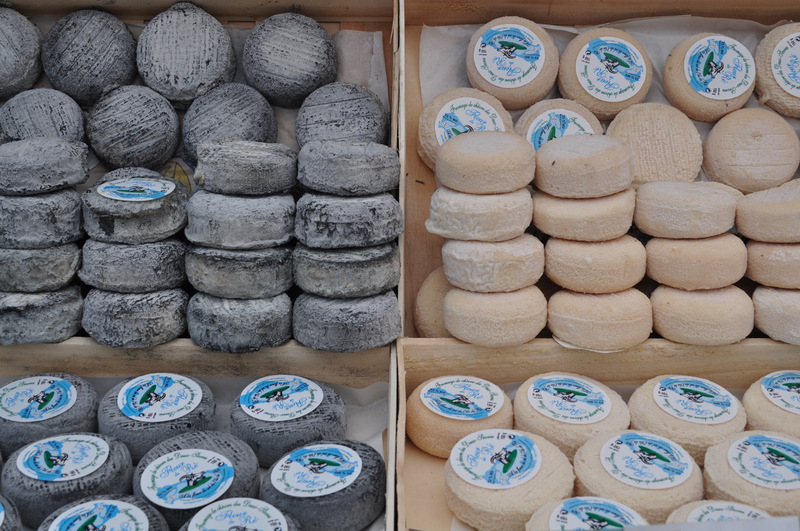 For the adventurous, try out the oyster, caviar or potato ice-cream if you dare. 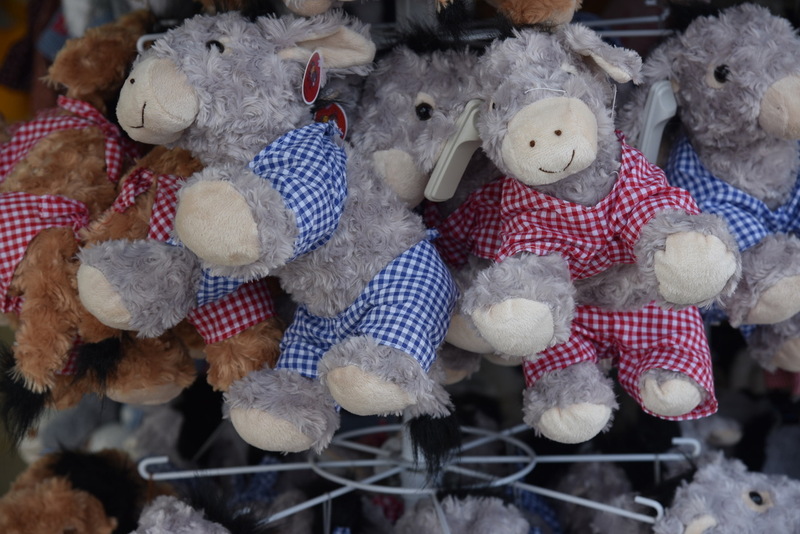 The Poitou Donkeys: Say hello to the Poitou donkeys who today are one of every child’s favourite tourist attraction. 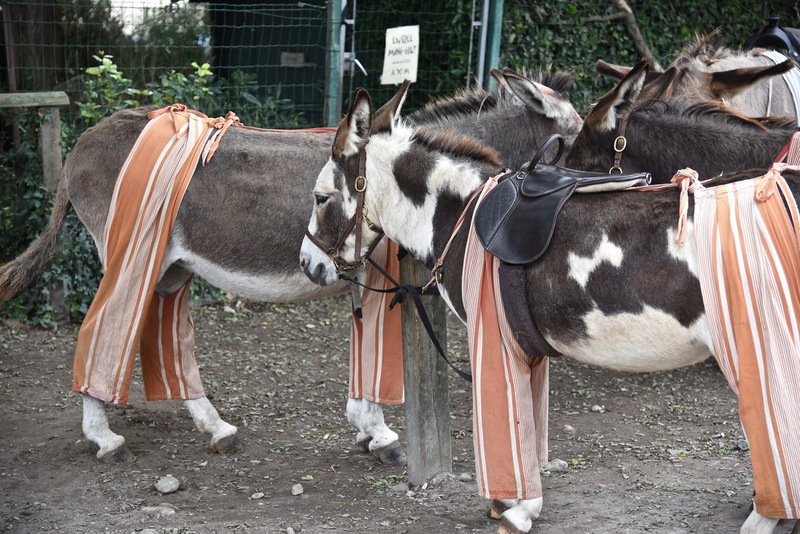 The donkeys were used to work the land, particularly the salt marshes of the Charente Maritime and is it said that these leggings or striped pyjamas were worn to protect their legs from mosquito bites and other pests. We found them at the Parc de la Barbette at St Martin de Ré. Beware. They’ll steal your heart. 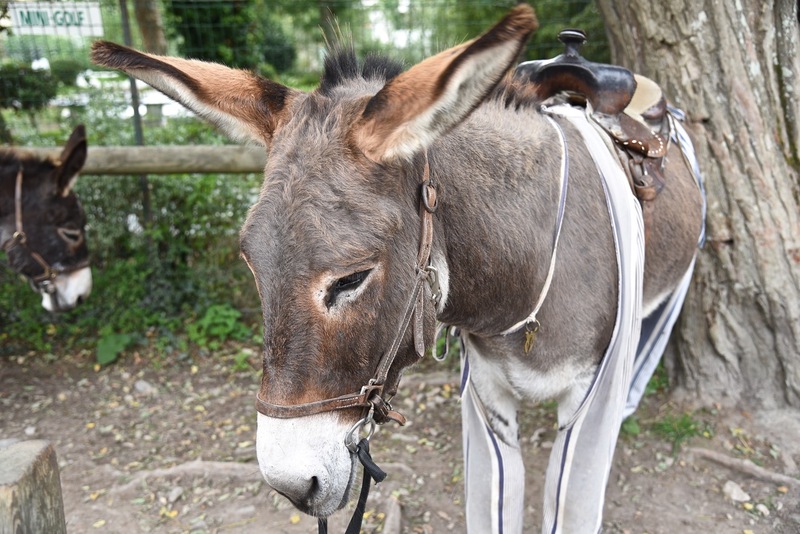 Take a donkey home: Strangely, the stripes turn to checks if you want to adopt one and take it home. 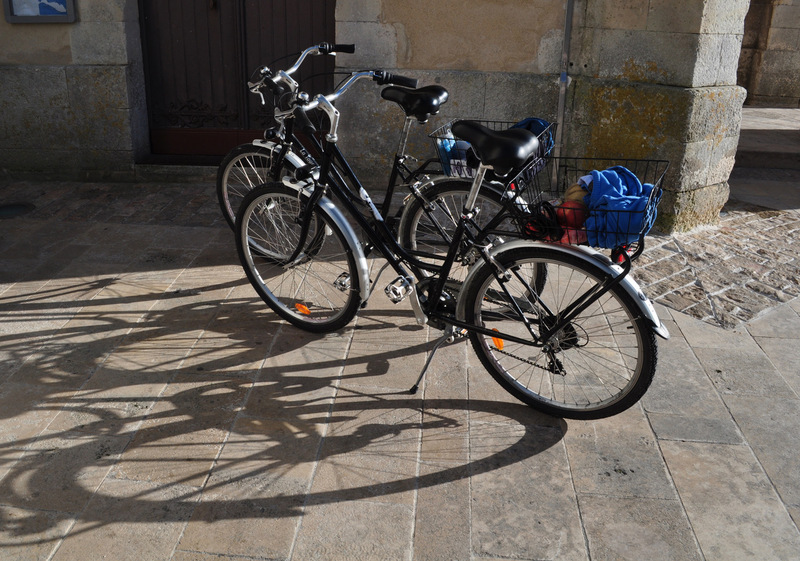 Two wheels are best: The best way to navigate the narrow streets of the villages is by bike. It’s the best means of transport on the island. 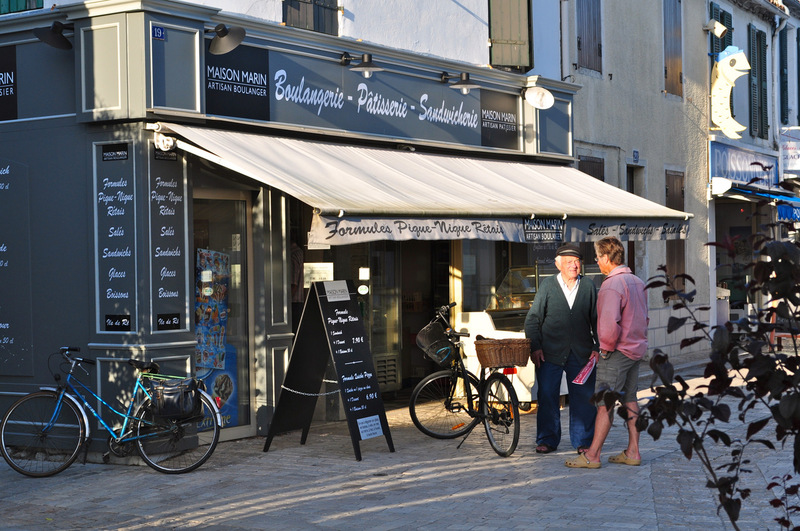 Easy to hire, the bike is king on Ile de Ré. There’s around 100 km of cycle routes criss-crossing the island! 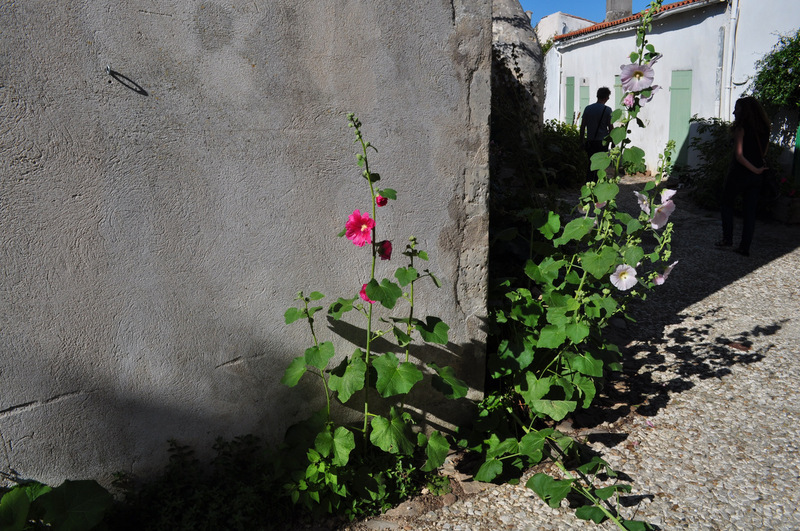 Hollyhock heaven: Hollyhocks are everywhere – the unofficial emblem of the Ile de Ré and the flower I associate with the island. 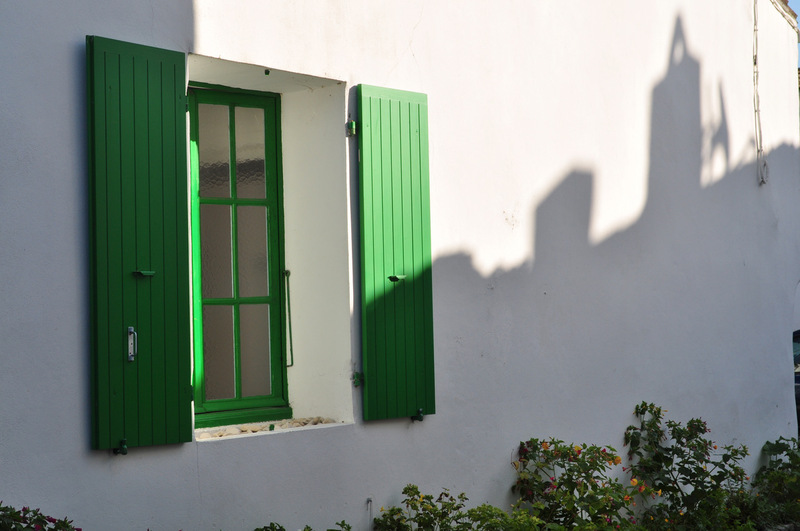 Shutter stock: Most of the buildings are either stone or have whitewashed facades – and all have shutters, elegantly shabby-chic and this adds hugely to the charm of the island. 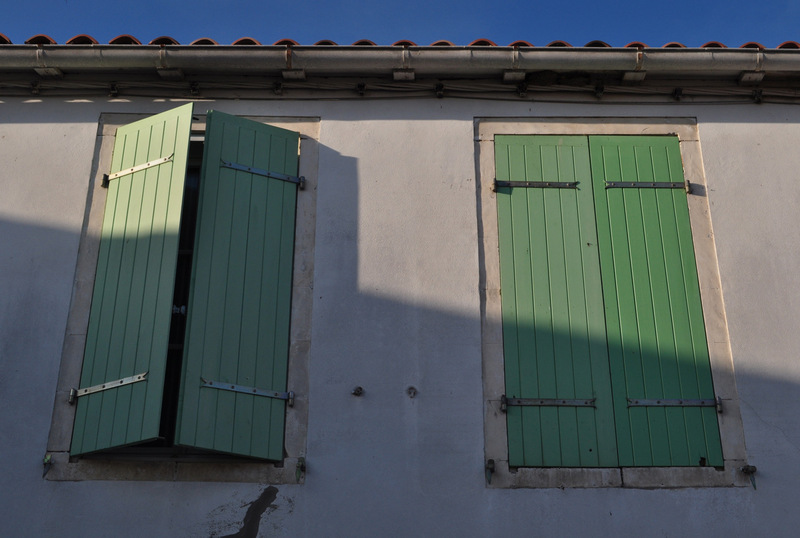 Shutter addiction: I have to admit, I became slightly obsessed by the shutters on the island. 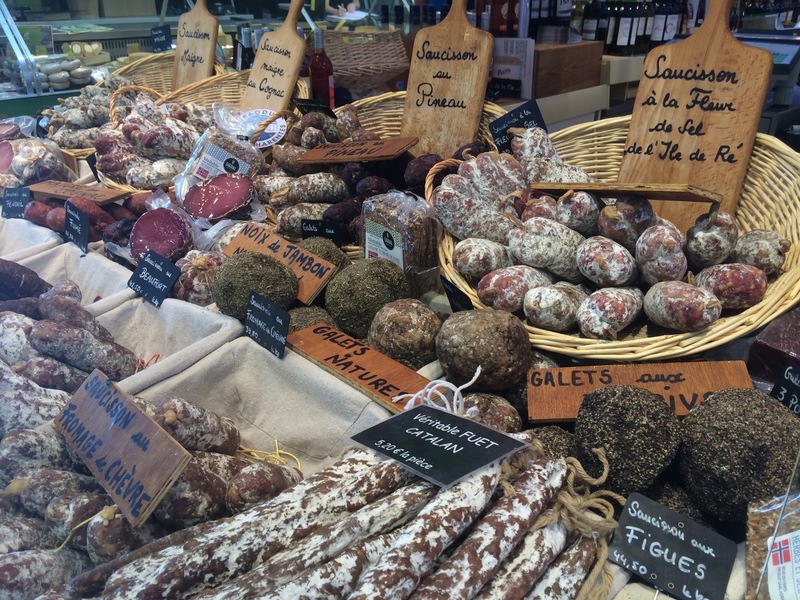 Du vin: Don’t forget the most important convivial ingredient …it’s France, pourquoi pas? Sandy beaches: A view of the Atlantic Coast …. 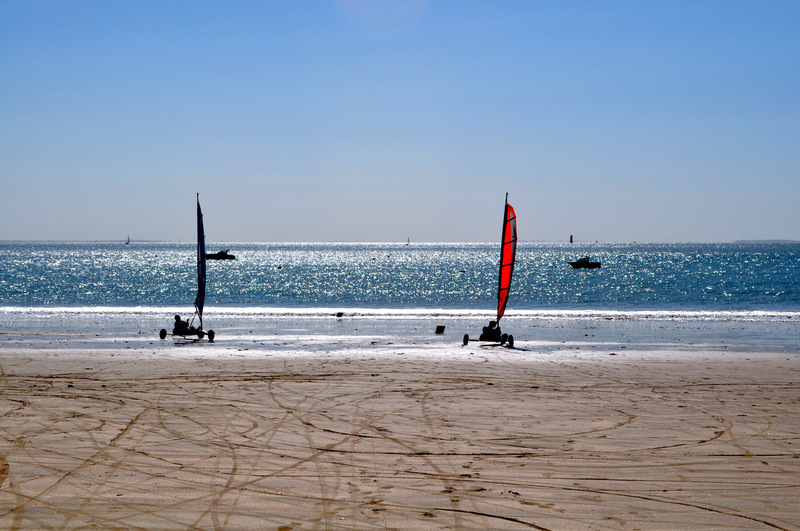 Sand-yachting: The flat, sandy beaches are marvellous for sand-yachting, powered by the sea breezes. 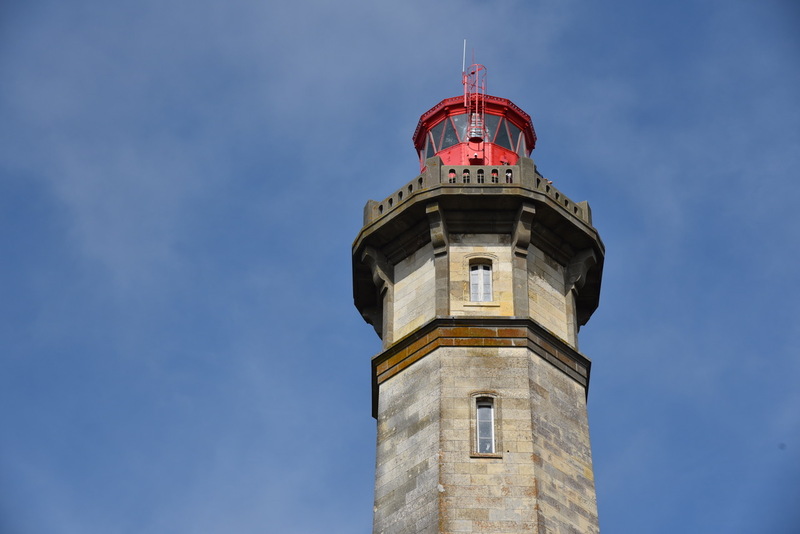 One of the highest lighthouses in France: Climb the 257 steps of the Phare des Baleines for breathtaking views of the island. This lighthouse was inaugurated in 1854 and joins a second, earlier tower, this lighthouse measures 57 metres in height. It sadly gained its name due to the numbers of beached whales in the area. Lighthouse museum: Full of curiosities, well worth a visit. 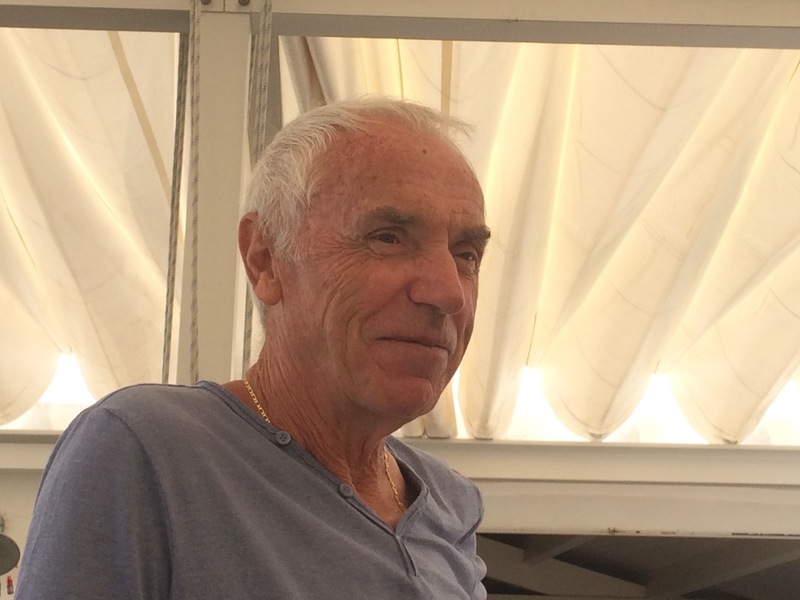 The last guardian of the lighthouse: You might even meet M Marc Rayneau, it’s last guardian. 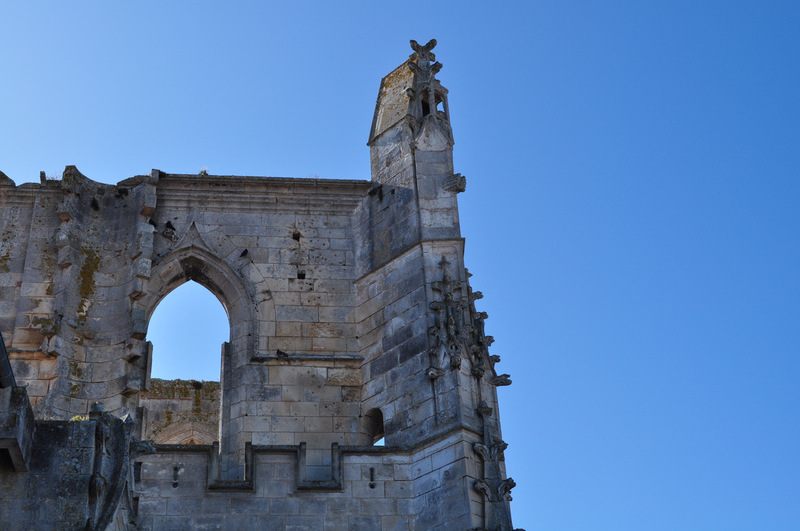 We met him working in his son’s restaurant at the foot of the tower – Le Patio. 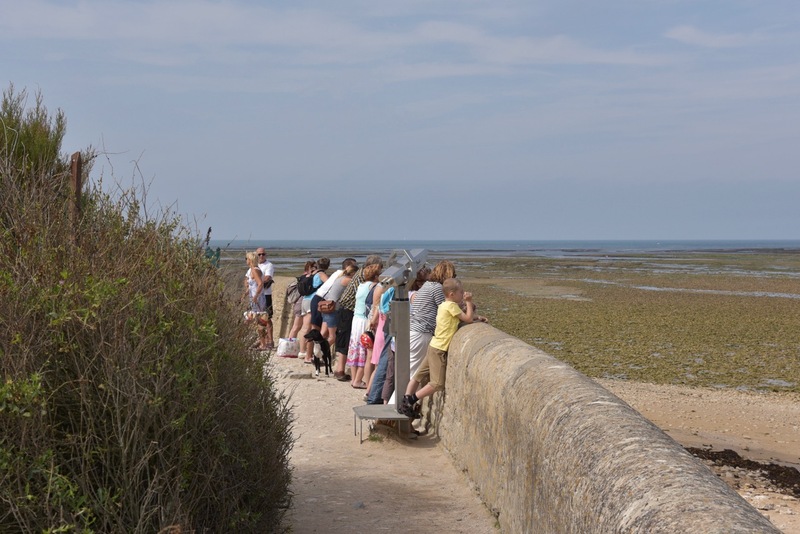 Sea-watching: Walk off lunch by promenading around the lighthouse’s perimeter or just gaze out to sea. Have you ever noticed that when one person stops, everyone stops? Sailor’s aid: Look out for the unique church – Eglise de Saint-Etienne in Ars-en-Ré – it has a black and white steeple which is used as a daymark navigational aid to sailors. Who knew? 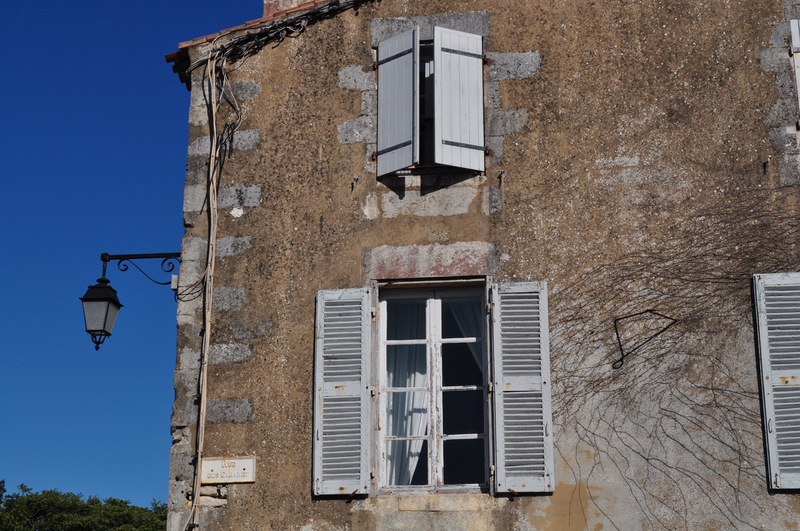 Magellan PR represents the Charentes area of Southwestern France. Contact Gillian Green / Alexandra Pinhorn for further information. 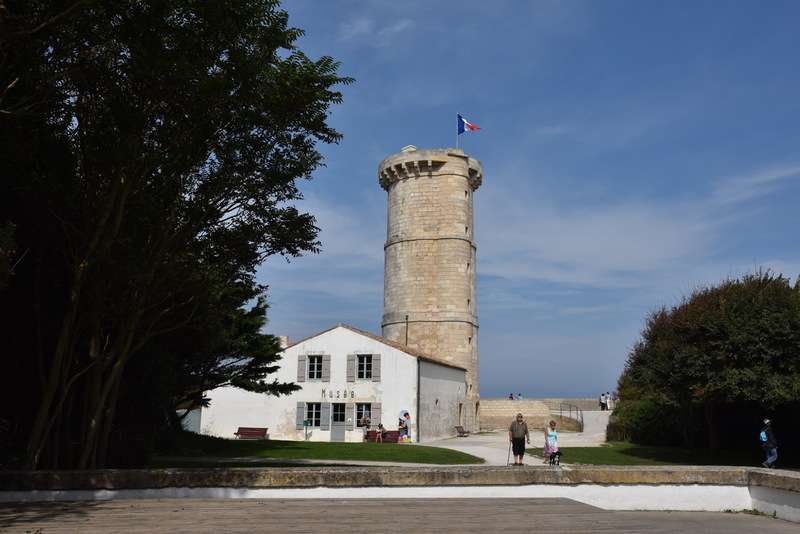 Note to editors: Situated at the heart of the French Atlantic coast, the Charentes area is the premier tourist destination in France for French travellers. 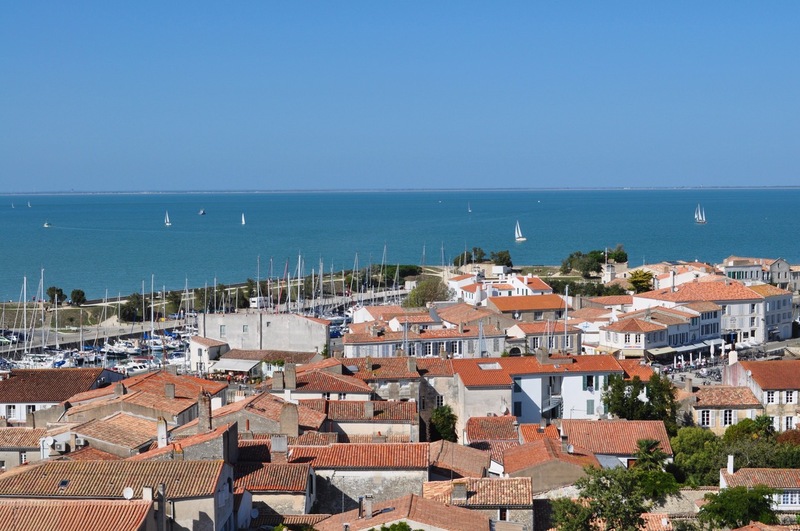 Charentes offers the visitor a lovely choice of coastal destinations such as Royal or the Ile de Ré, city breaks to Angoulême or La Rochelle and beautiful countryside in the Marais Poitevin or Cognac Country. 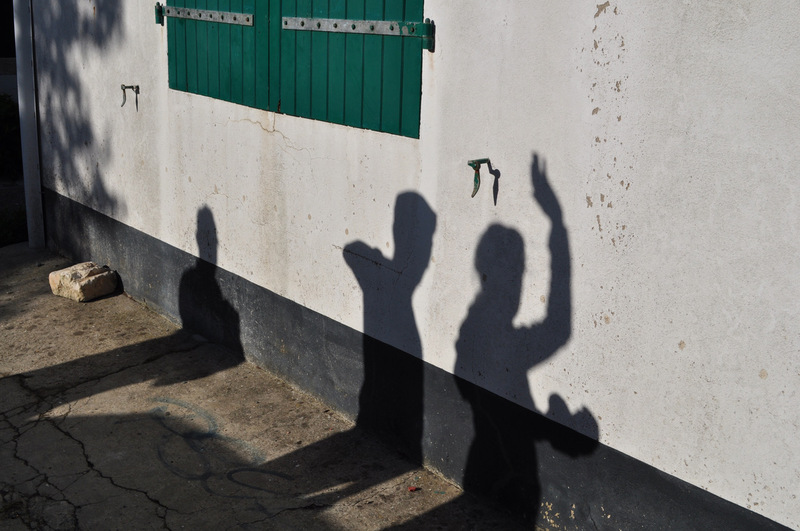 Charentes has several important wellness centres (six) and a number of UNESCO World Heritage sites. 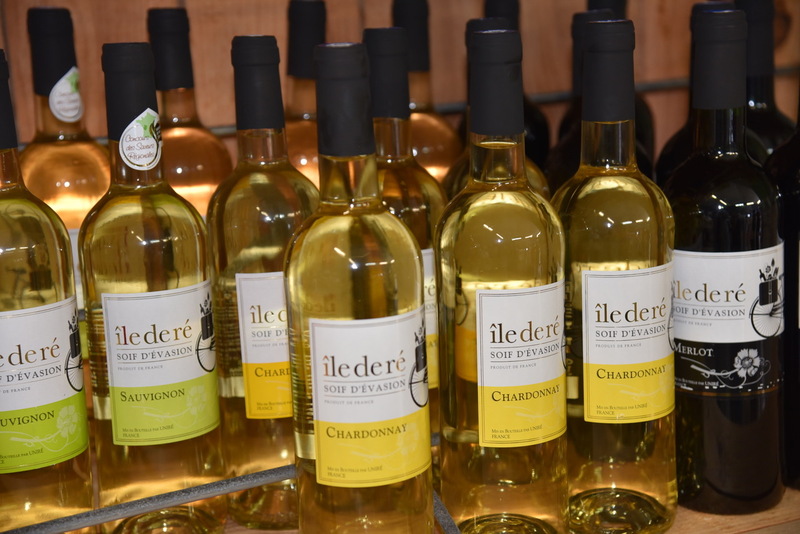 It is also a gastronomic destination of note – oysters, mussels, sea salt, cognac, Pineau des Charentes; and is easily accessible by road, rail or air from the UK. There are a number of flights (some seasonal) from the UK into La Rochelle and these include services by Flybe, Ryanair, easyJet and Jet2. It boasts a temperate climate softened by the closeness of the ocean with a quality of light that is beyond compare.